The town came into being around in the 1890s when Polish immigration began to move away from the Panna Maria - Cestohowa communities. The town was named after the Polish General who added the Colonies in the American Revolution. The post office only operated from 1906 to 1920 when Stockdale took over the responsibility. 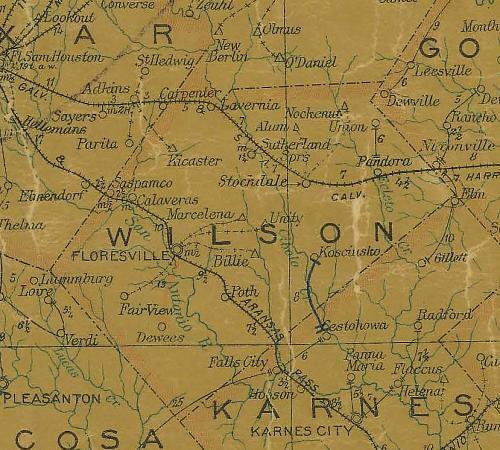 There were only 10 people reported in Kosciusko for the 1930 census and only 50 in 1965.